Shrimp and sausage gumbo is a must for us during the cold weather months. 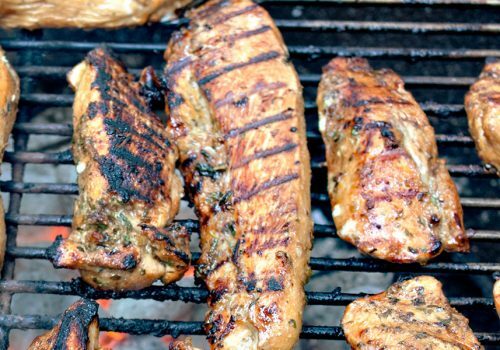 We could eat this every week, it’s that good. It’s as close as we have come to authentic New Orleans style gumbo made at home. Brown the sausage, remove and set aside. 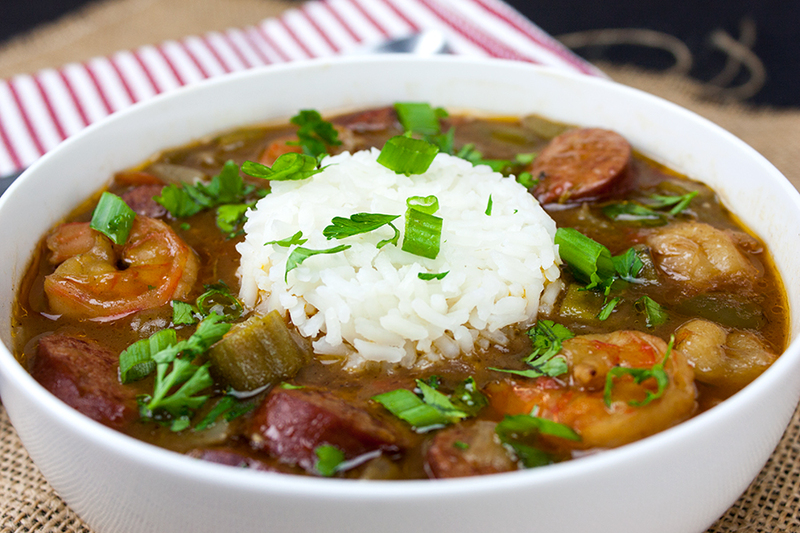 We prefer this gumbo made with andouille instead of smoked sausage. It bumps the flavors up and gives it a spicier kick. Sorry for the blurry picture, that stuff was HOT. Add the flour and butter and cook the roux. You want it brown not BURNED! 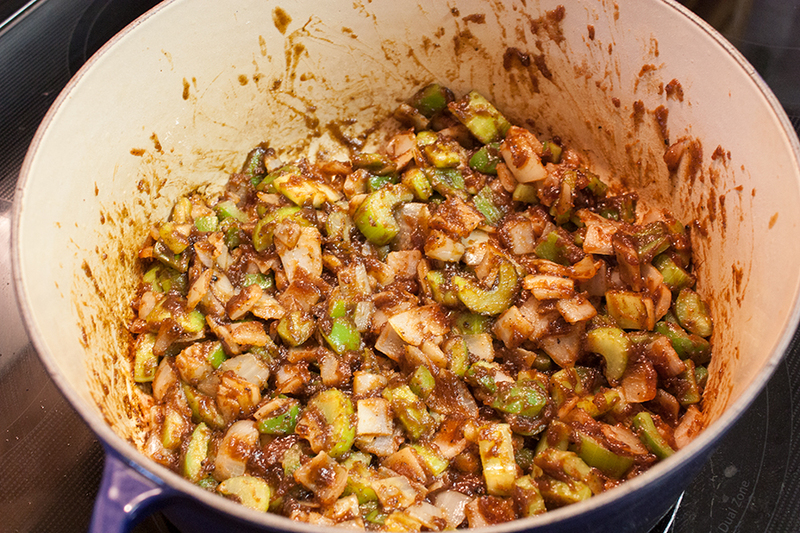 Add the celery, onion, garlic and green pepper. Saute about 10 minutes. Add Worcestershire and parsley, saute another 10 minutes. Add stock and sausage. Bring to boil, cover and cook for 45 minutes. 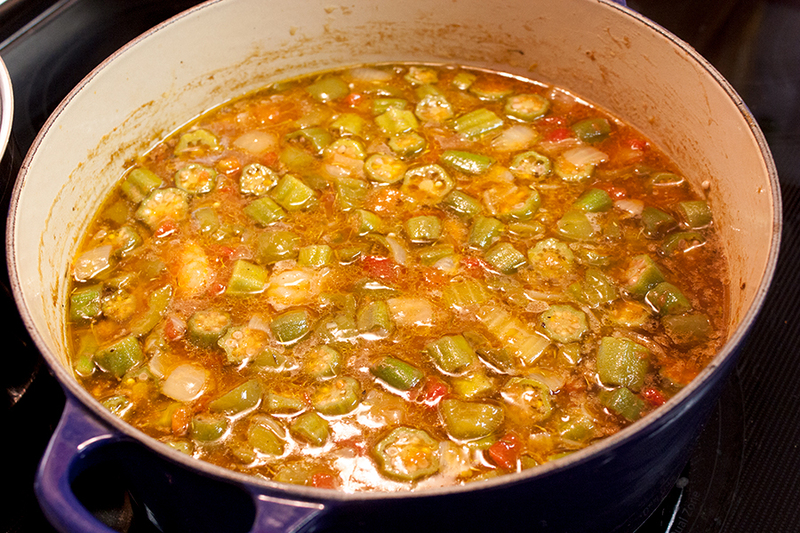 Add tomatoes and okra, simmer for another hour. Add shrimp and cook for 3-4 minutes, until opaque. Serve with rice, green onions and enjoy! 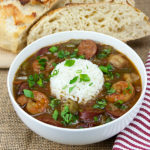 Easy shrimp and sausage gumbo! 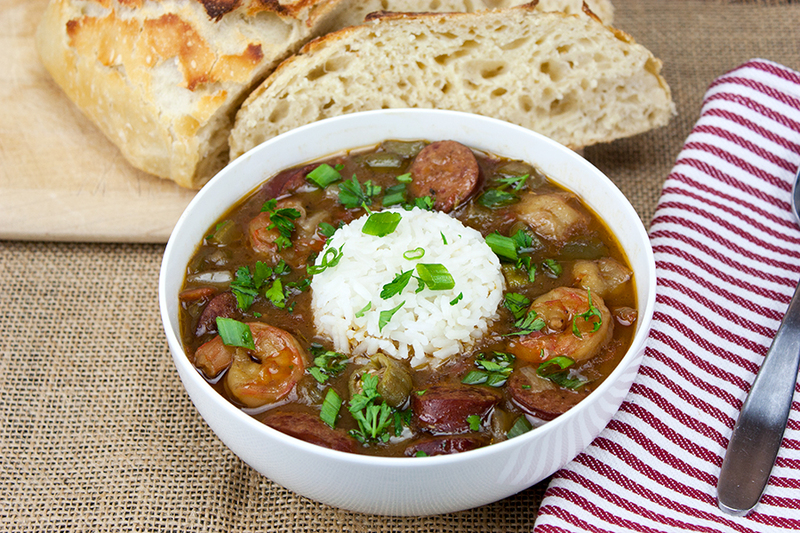 Shrimp and Sausage Gumbo - A taste of New Orleans right in your own kitchen! This shrimp and sausage gumbo is rich, slightly spicy and a total winner! Heat the oil in a heavy-bottomed Dutch oven or large pot over medium-high heat. 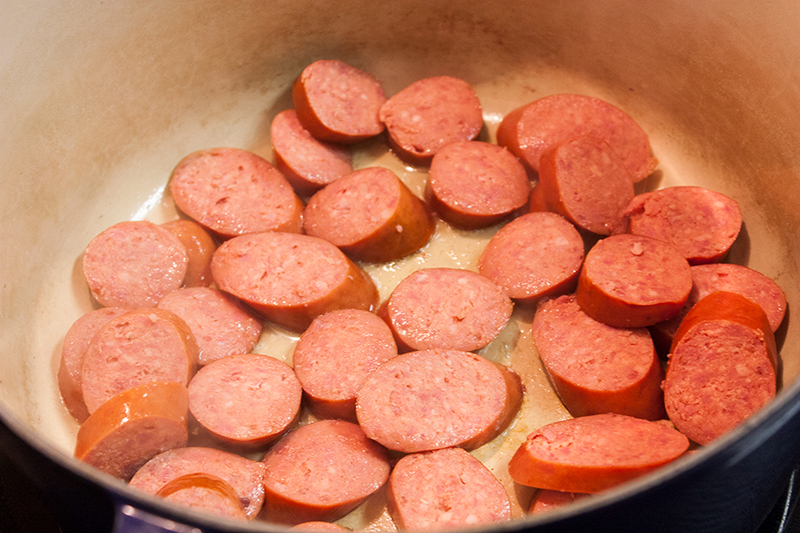 Cook the sausage until browned on both sides and remove. Sprinkle the flour over the oil, add 2 tablespoons of butter and cook over medium heat, stirring constantly, until brown, about 10 minutes. Return the Dutch oven to low heat and melt the remaining 3 tablespoons butter. Add the onion, garlic, green pepper, and celery and cook for 10 minutes. Add Worcestershire sauce, salt, and pepper, to taste and the 1/4 bunch parsley. Cook, while stirring frequently, for 10 minutes. Add 4 cups chicken stock, whisking constantly. Add the sausage. 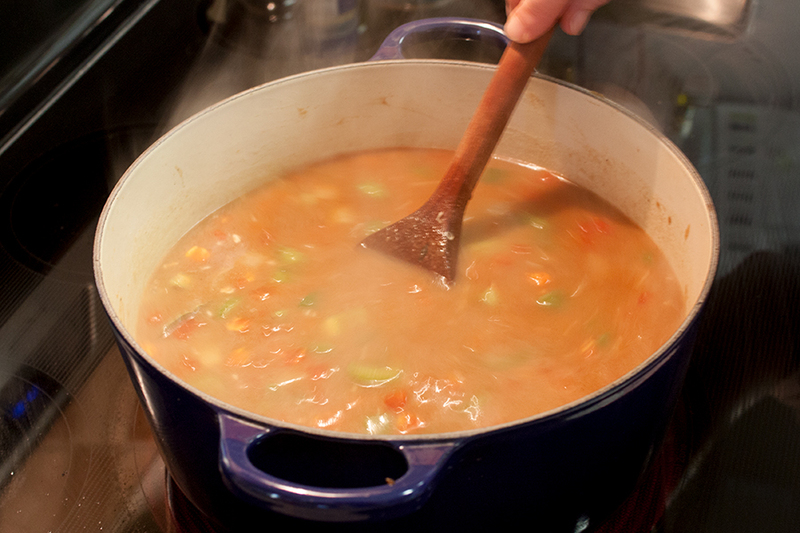 Bring to a boil, then reduce the heat, cover, and simmer for 45 minutes. Add the shrimp and cook for 3-4 minutes. Just before serving, add the green onions and chopped parsley. My mouth is watering! I can’t wait to make this for my family. Perfect for Fall weather. 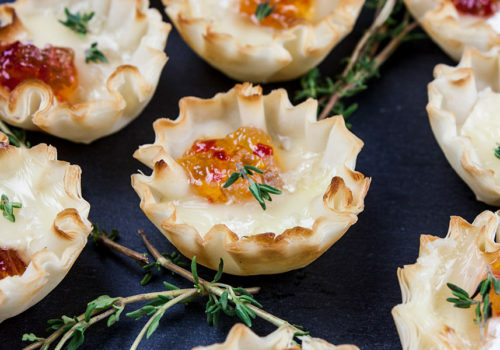 This recipe looks fabulous! I was in New Orleans last year, and ate a lot of gumbo, and it was so worth it. I’ll definitely be pinning this one. Scheduled to pin. 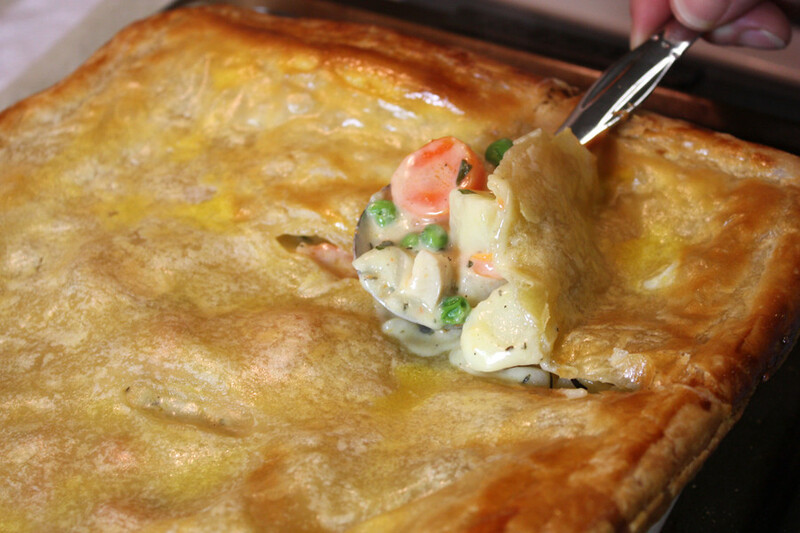 This is amazing comfort food Leigh! Your Shrimp and Sausage Gumbo looks delicious, and so wholesome too! Thank you for sharing with us at Hearth and Soul. 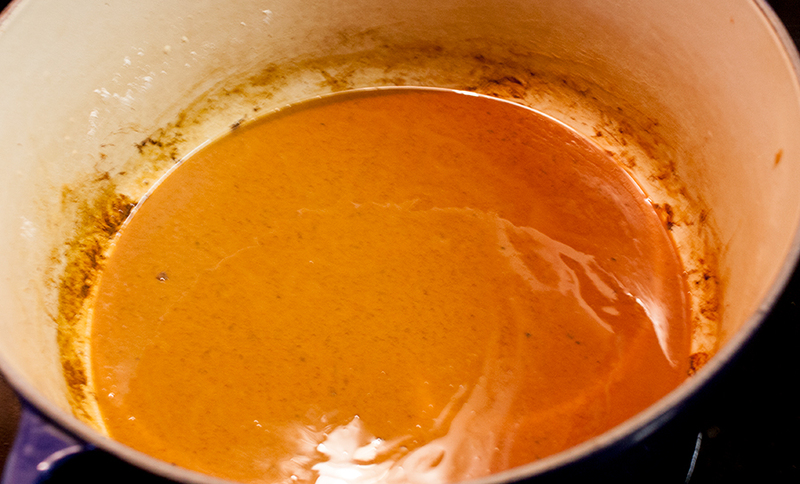 We just love Gumbo and your recipe looks delicious. Thanks so much for sharing with Full Plate Thursday. Hope you had a great week and come back soon! Certainly wish people who’ve actually MADE the recipe would comment. Many recipes look great on paper, but turn out to be ho-hum. Looks like a wonderful meal for a cold day! 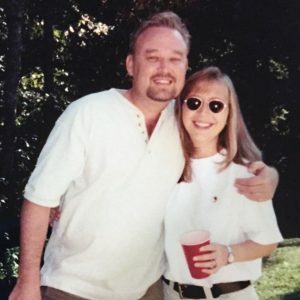 I also wanted to let you know you’re featured on Inspire Me Monday. 🙂 Congrats! Awww, thank you so much CJ! Delicious! Thanks for linkin’ up with What’s Cookin’ Wednesday!